Edelman is ramping up its team with more hires from the creative agency world. Its Singapore office has brought on board Aaron Phua (pictured left) as executive director in a bid to enhance its overall integrated brand, reputation and digital businesses for clients. Phua was last creative director at Ogilvy and has worked at agencies such as Fallon, Wieden+Kennedy, Johannes Leonardo, McCann, Crispin Porter + Bogusky and TBWA. He has nearly 20 years of advertising and creative experience and has worked in Japan, China and the US. Among the list of brands that Phua has collaborated with include Nike, Under Armour, Bacardi, Converse, Heineken, IBM and Volkswagen. He will report to CEO of Edelman Singapore Amanda Goh in this newly created role. He will also work closely with Rupen Desai, vice chairman, brand for Edelman Asia Pacific, Middle East and Africa (APACMEA). Desai too, was previously with Lowe + Partners, now known as MullenLowe, as the APAC regional president and executive vice chairman of APACMEA. He came on board in January 2017. Desai used to lead the global teams on Unilever’s “Dirt is good” campaign across 80 countries. Last year, Edelman also hired Ranjit Jathanna, chief strategy officer, APACMEA to enhance Singapore’s regional creative and planning hub role. Prior to his new role, Jathanna too was with MullenLowe for more than seven years, with his last role being chief strategy officer in Singapore. Over in Malaysia, a shuffle on the MullenLowe Malaysia team saw former managing director Mazuin Zin also heading to Edelman Malaysia as managing director. Mazuin replaced Rob Kay. 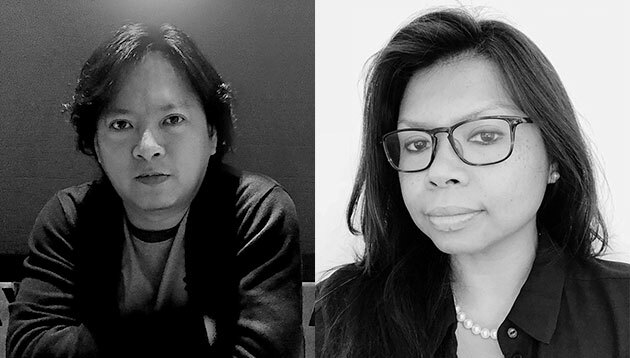 Along with Phua’s hire, Remona Duquesne (pictured right) has also been brought on board as chief strategy officer, in a bid to enhance its overall integrated brand, reputation and digital businesses for clients. Duquesne will work with Ranjit Jathanna, chief strategy officer, APACMEA to enhance Singapore’s regional creative and planning hub role. Like Phua, she will also report to Amanda Goh. Before joining Edelman, Duquesne was executive director of strategy and innovation at branding and design consultancy Dragon Rouge. She has also held strategy leadership roles at Ogilvy, FutureBrand and MullenLowe, working on brands such as CIMB, Nestle and Omo. She has also led several corporate brand consulting projects with the Singapore government and Malaysian government-linked companies. Duquesne has over 20 years of experience in journalism, advertising and brand consulting. According to Goh, both Phua’s and Duquesne’s value and expertise in data, creative content creation, sound strategic planning and storytelling will serve as a catalyst for the agency’s vision of becoming a powerhouse of regional earned-centric communications marketing ideation. “We have seen an increase in clients making a move from the traditional, top down, advertising developed first approach to creating fame and generating headlines, winning trust and attention. Phua and Duquesne joining our growing bench strength across the region will help us partner clients as lead agency,” Desai said. It will continue its focus on a multi-media strategy while enhancing its customer shopping experience. .. The app acts as a platform for consumers to lodge complaint on communications and multimedia services right from their smartphones..
What happened to the MMA tours? But was there ever an event to begin with?..